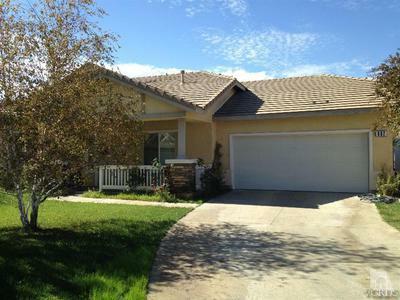 This property, 962 Catalano Ct Home for Sale in Fillmore CA, was SOLD by David Tovar of Exit Castillo Realty. Listing courtesy of RE/MAX Gold Coast Realtors. The deal was executed under standard terms. Financing was provided by Navy Federal. The entire transaction was completed under 30 days and allowed for the closing of escrow to occur within the 30 day time frame agreed upon. I'm grateful to this family for their testimonial. I wish them much happiness in their new home. What an amazing way to end the year by helping this wonderful family move into their new home with an incredible mountain view. We curiously wandered into the Hometown 3 subdivision in Fillmore CA where we saw the house listed. Without realizing, the house was not listed yet in the MLS even though it had a For Sale sign on the yard. My client submitted an offer literally the first day the property was officially listed on the market in the MLS. The asking price was $365,000 and the house needed a few repairs. Finally, the agreed upon price was $360,000 and the seller provided a credit to the buyer for the repairs. This worked out well because the buyer can do the repairs according to her own conditions and satisfaction. A Standard Home Warranty was provided by the seller which sweeten the deal. The property is located in a desirable neighborhood of Fillmore CA. It provides a wonderful mountain view with privacy. This single family home is a 2 bedroom and 2 bath with an extra room that can easily function as a 3rd bedroom or office with nearly 1,400 square feet of living space on a large lot of almost 7,000 square feet. 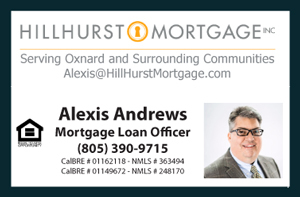 Fillmore, California is located about 25 miles east of Oxnard. It is a smaller town rich in agriculture. That last census calculated Fillmore’s population to about 15,000. Many people enjoy the country feel and green landscape that area provides as well as the proximity to the mountains which are part of the Los Padres National Forest. In addition, the area enjoys a warmer climate throughout the year compared to other coastal cities such as Oxnard and Ventura within the Ventura County.